It is difficult to overstate the power of Process Builder. Despite that, however, Process Builder does have some limitations. 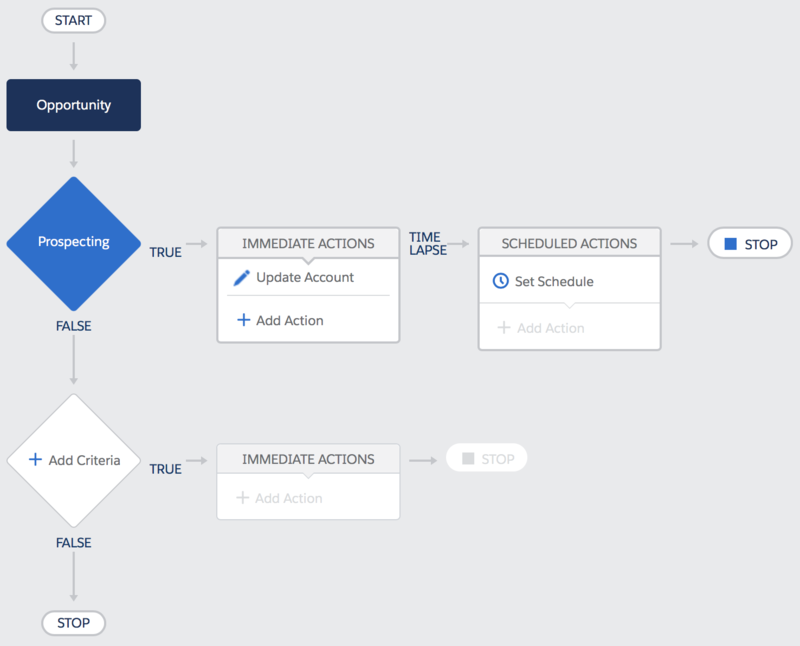 In this article, we will unravel a couple of known limitations of Process Builder and create a workaround by using Process Builder and Visual Workflow. Or, start the process when a record is created or edited (2). And, in addition, select the advanced option to execute actions only when specified changes are made (3). But, what if you want to add a scheduled action when a record is created or edited and without selecting the advanced options checkbox? Let’s look at a real-world scenario that I recently encountered. Before going ahead let us review the aforementioned known issue again – Process Builder updates Task – WhoId field only through inline edit but not through normal edit. This mainly applies to Org where – Allow Users to Relate Multiple Contacts to Tasks and Events – feature is enabled. In light of the above-known issue framework, let us now look at a business case. Edward Backhouse is working as System administrator at GurukulOnCloud. At GurukulOnCloud they are using Mircosoft Office 365 as their email client. Using Third-party applications they are syncing Salesforce – Microsoft Outlook calendar. They have enabled, Allow Users to Relate Multiple Contacts to Tasks and Events feature in Salesforce. 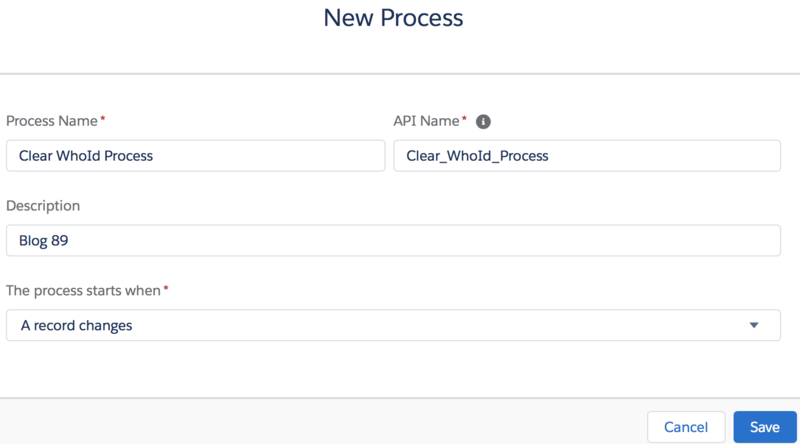 Edwards created a process in the past to update WhoId/NameID to null (similar to what is explained in the Salesforce known issue) when Subject contains a word Outlook, but because of the above-known issue, it is no longer working. The above solution will work in the most cases but, in my case, it did not work in all scenarios. 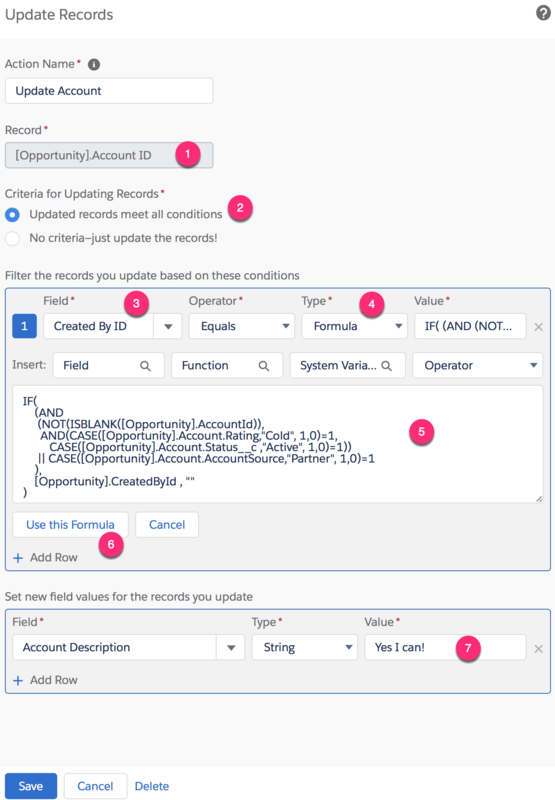 So I used the second solution, which I am going to explain in the article – How to add time-dependent action to a Process which Start when a record is created or edited and advanced option checkbox is not selected. Before we proceed further, let us understand the characteristics of a TaskRelation Object. It represents a person (a user, lead, or contact) or a resource (such as a conference room) invited to a task. Once you are done, click on OK button. Once done, Save the flow and name it Clear WhoId, with Type: Autolaunched Flow. Do not forget to activate the Flow by clicking on the Activate button. P.S. :- The only part missing in this flow is to check TaskRelation record before deleting it. I removed those parts from this article to keep it brief. Wasn’t that a great journey? 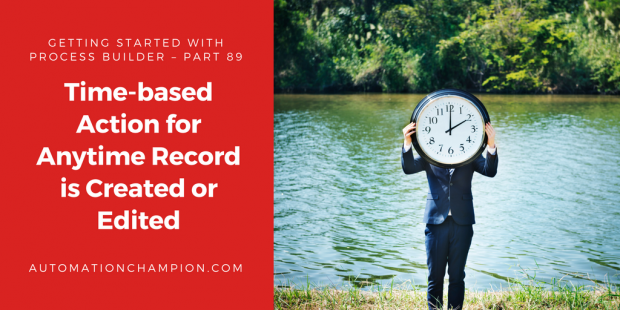 Now you know how to create a time-based action for a process which Start when a record is created or edited. Thank you for taking the time to share your wisdom about PB. I have a question about time-dependent actions and lead conversions. Do you know a workaround to convert leads that are in a queue triggering an email notification 60 hours after lead creation if there is no activity attached to them during that time frame?